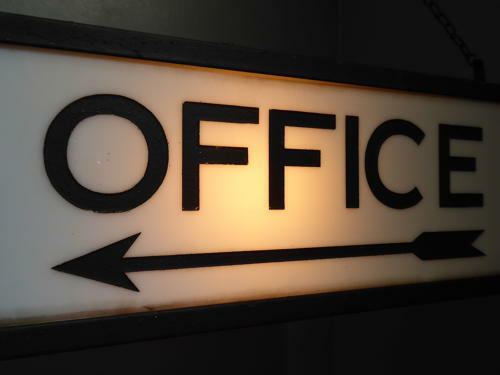 A wonderful vintage illuminated 'Office' sign. A fantastic light-box sign in etched milk glass with a folded metal case in the original painted finish. Very unusual & so decorative! Wear commensurate with age, unrestored, good overall, access to the inside via two srcews in the end panel.